The exhibition at the Fondation Henri Cartier-Bresson pays homage to this woman, whose work has only been recognized in France rather late in the day. An emblematic figure of photographic expression, she has resisted any association with a group or school. Her work is free-spirited and pioneering, imbued with a sense of wonderment. 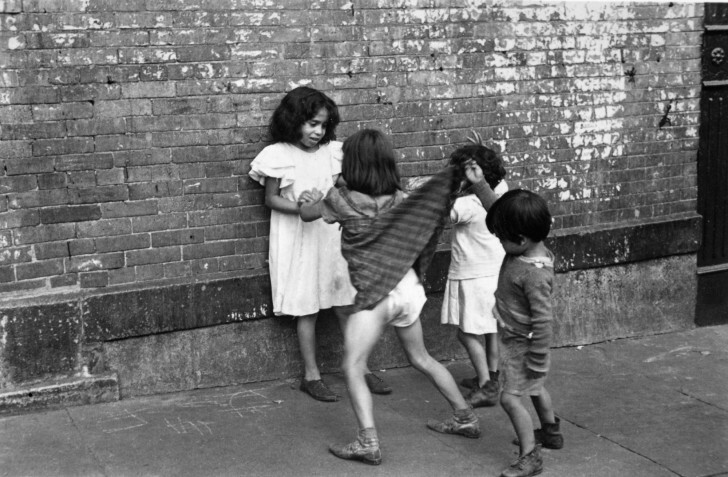 Ever since she began as a photographer in the 1930s, Helen Levitt constantly photographed urban spaces as though they were theatrical scenes. These were performed for the most part by children against a backdrop of their graffiti scrawled in chalk on walls and sidewalks. Local inhabitants—of Harlem mostly—provided a supporting cast on the street that was more than ever theirs at that time. 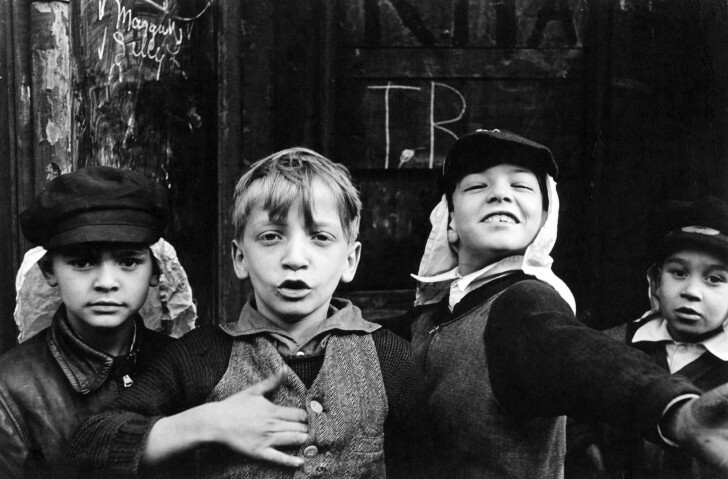 A photographer with an eye for what is human and intimate, Helen Levitt has never been a journalist. She does not shoot pictures of the city; there are no long shots, no architectural effects, no hints of melancholy. 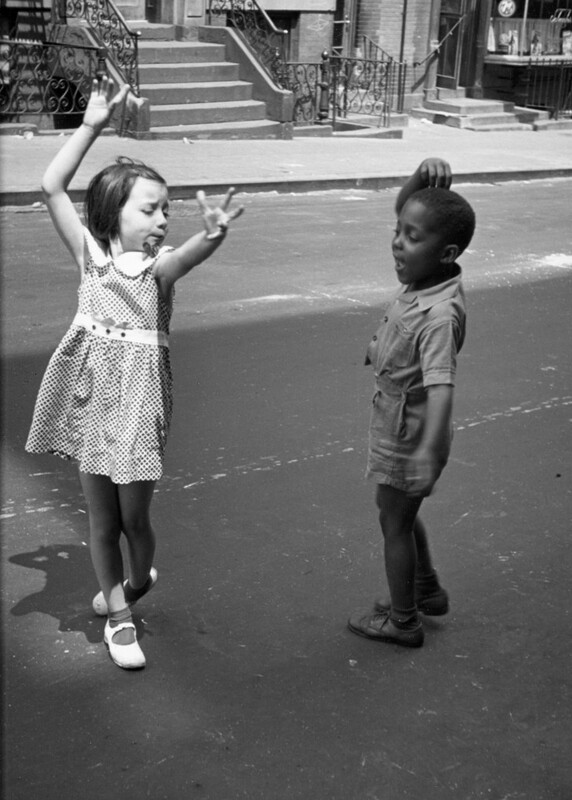 Helen Levitt observes this street tribe intuitively; she is at one with the gracefulness of the life that springs from the asphalt. She looks on without interfering, without didacticism, without a message to impart. 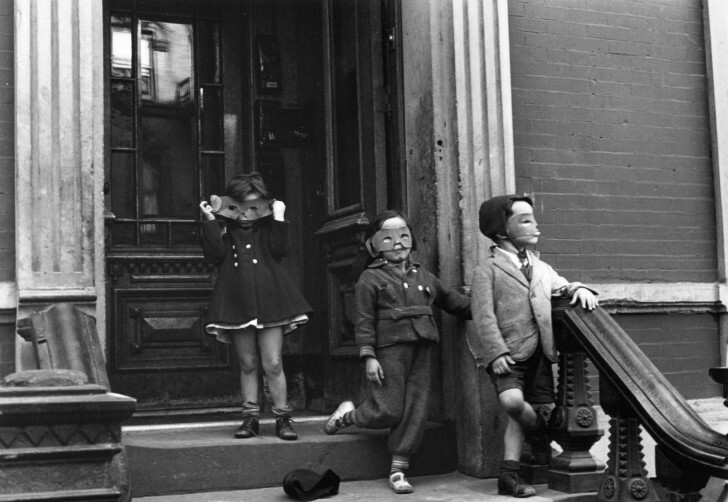 While influenced by Atget and by surrealism, and marked by Jean Cocteau’s cinema and by Ben Shahn’s work, Helen Levitt’s meeting with Walker Evans and Cartier-Bresson in the early 1930s in New York was particularly telling. 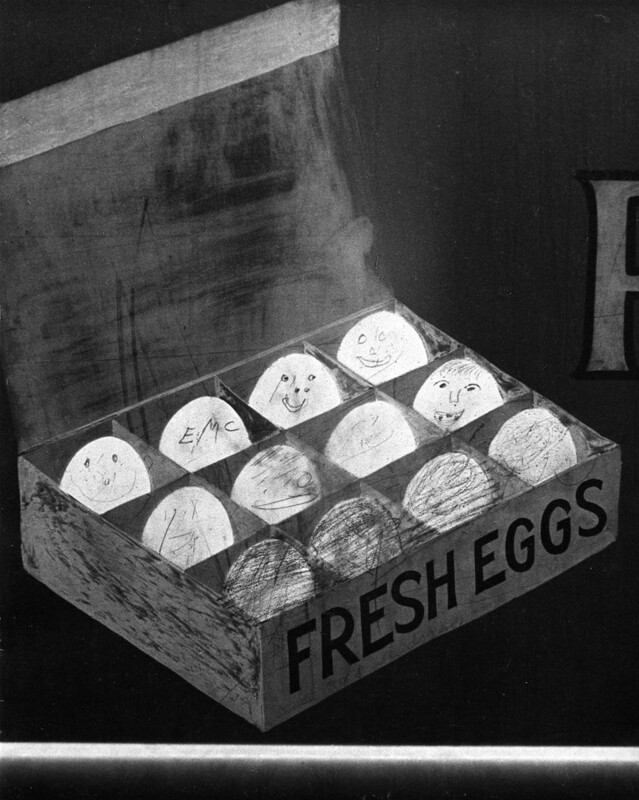 Cartier-Bresson was on his way back from Mexico and, with Walker Evans and Manuel Alvarez Bravo, was putting on the exhibition “Documentary and Anti-graphic Photographs” at the Julien Levy Gallery (1935). It was this exhibition that prompted her to become a photographer, and convinced her to set out for Mexico, equipped with a Leica, on the only major trip she has ever undertaken (1941). The considerable influence these two friendships have had on her work is something she has always asserted. 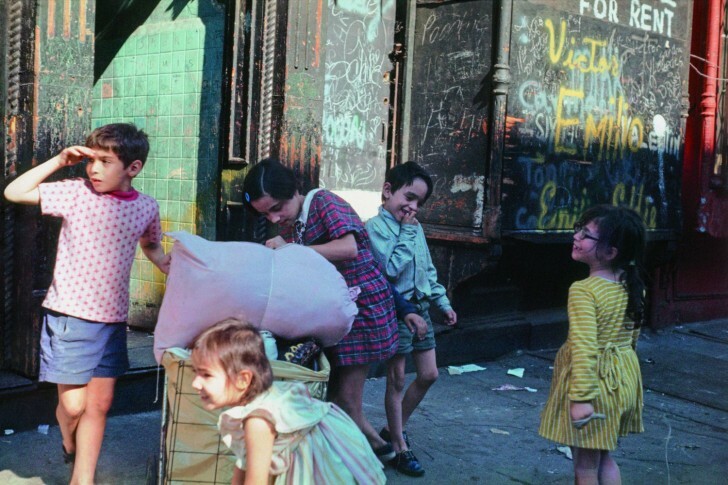 Helen Levitt worked in black and white until she received Guggenheim grants in 1959, and again in 1960, to explore the possibilities of colour. It was at that time that she went back to most of the locations of her first photos to recapture this theatre of street life. The whole set of her early colour shots was lost in a burglary. She was to start all over again with the same tenacity, culminating in a historical slide-show projection of her colour work at MoMA in New York in 1974: the modernity of her work in colour, eschewing all aestheticism to get nearer to the hub of life, was groundbreaking. 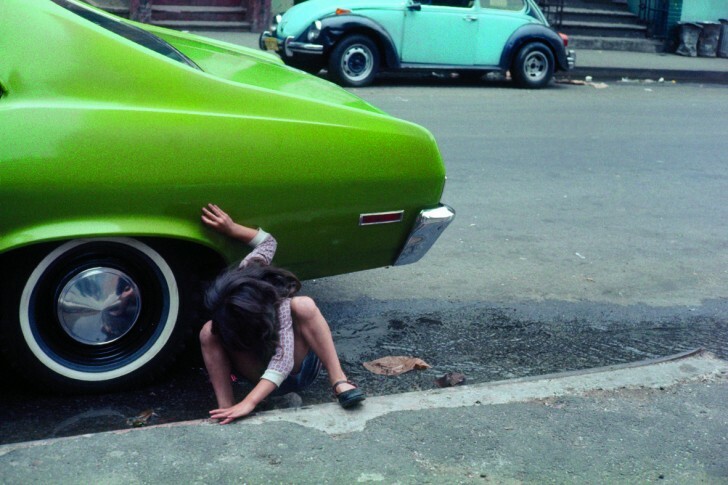 This exhibition brings together the inevitable pictures—even though Helen Levitt is against the notion of her pictures becoming iconic—but also less well-known images, some of them presented as sequences, thereby reinforcing further this sense of theatre inherent in her work. In addition, a remarkable series on Mexico is put in context with those of Cartier-Bresson’s images from which she drew inspiration. As for the scrawls of the street children, they are a tangible token of their imagination and stake out the essential boundaries of their playing space. 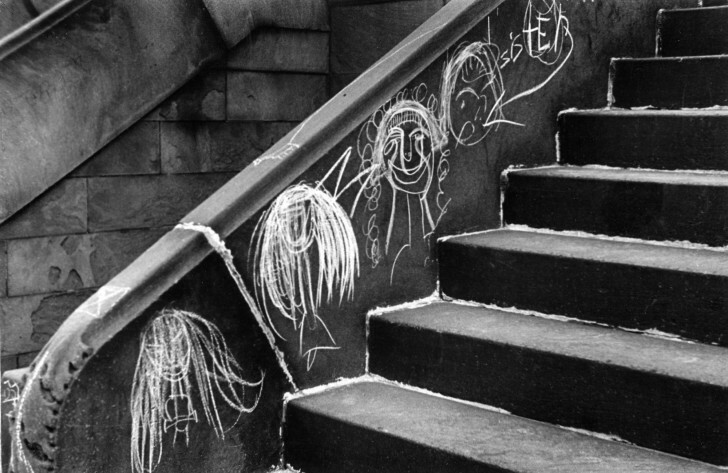 Less well known than the graffiti photographed by Brassaï in Paris, these images by Helen Levitt are the only record of these ephemeral lines in chalk that did not withstand the passage of time yet speak volumes on those times. 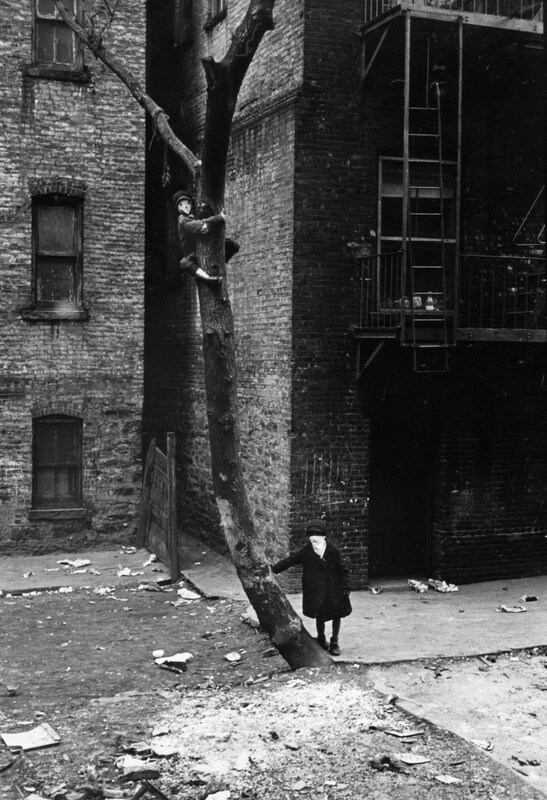 In March of 1943, the year in which Steichen curated Helen Levitt’s very first exhibition at New York’s MoMA, the magazine Minicam published a portfolio of photographs by Henri Cartier-Bresson and Helen Levitt: “The Art of Poetic Accident”. In his accompanying commentary James Soby, then a curator at MoMA, wrote: “The Cartier-Levitt photography is an art of poetic accident, the recording of subject matter at a moment of great emotional intensity. The two photographers depend on their highly sensitive, intuitive vision to reveal this moment to them, and record it instantly, with the minimum of technical calculation.” These few lines could easily have been penned by Henri Cartier-Bresson, for this description of how to take pictures tallies so well with the way he often expressed it himself.